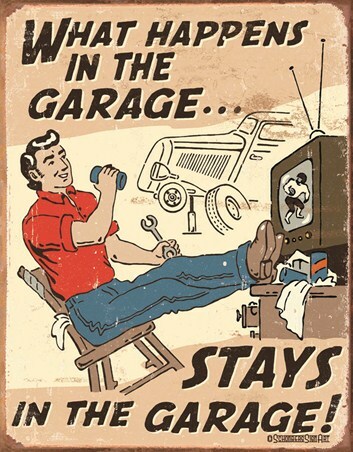 Humour Tin Sign: Whether you live in your very own bachelor pad or you have a secret room for your manly goings on, this awesome tin sign is a must have for your door. 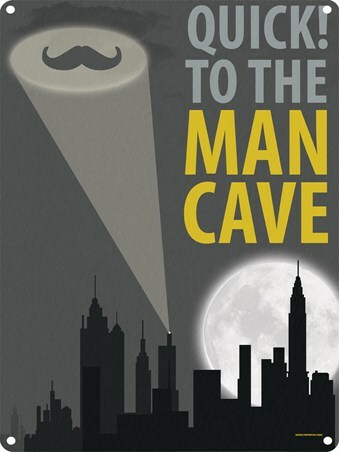 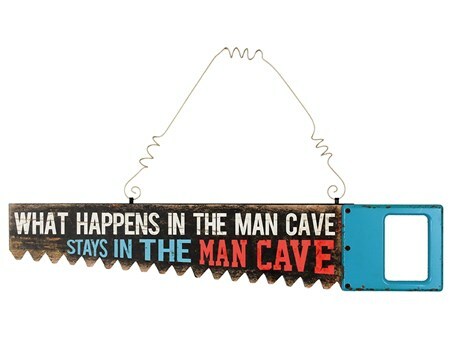 Warning all those who enter the “Man Cave”, this sign reminds them that what happens in the man cave stays in the man cave. 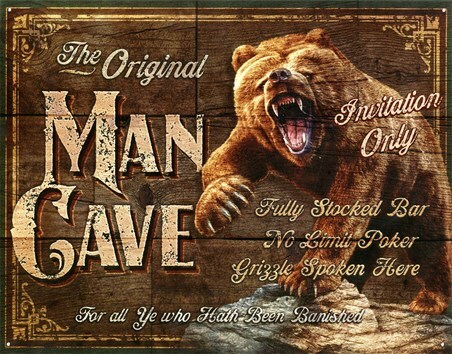 From poker tournaments to all out drinking sessions, this piece of wall art is the perfect way to let others know that a different set of rules apply when they step through the door. 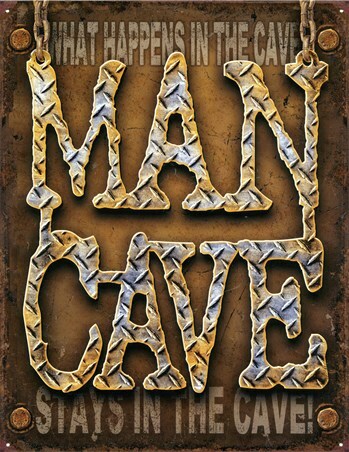 High quality, framed What Happens In The Cave, Man Cave tin sign with a bespoke frame by our custom framing service.